Maybe because it's getting colder and I am spending way more time at home, I've been focusing on improving my living space. From De-cluttering to just adding more functional decor. I have spent time in each room thinking about ways to improve the space, be it for functionality or aesthetically. Here are some of my favorite inexpensive ideas to jazz up your living space. This can be used to serve food, appetizers or simply as a decorative piece for your coffee table. This adds a great aesthetic to any room, and is also functional, all for less than $5! Get more more details on this DIY project here. 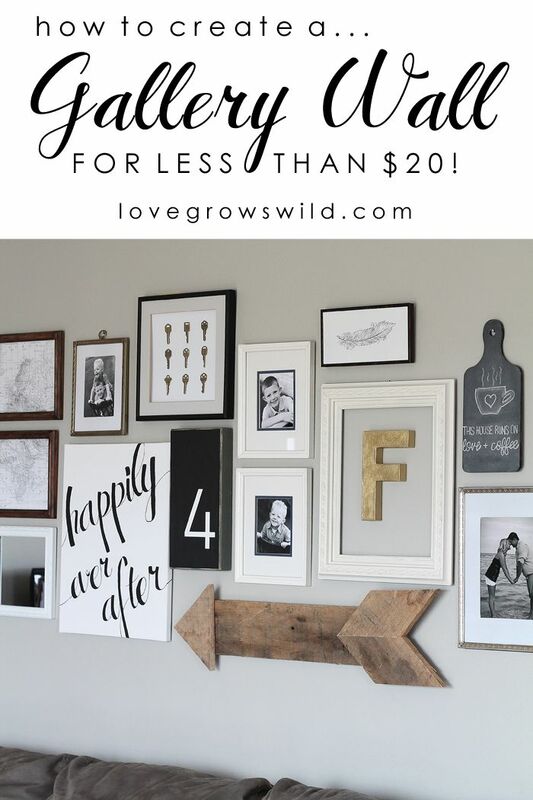 This is a great way to showcase family photos, and other decor and create a focal point for any room. Find more details for this project here. These small changes can make a big difference in a room and are pretty inexpensive. What improvements have you made to your home that you love?Let us know in the comment section below!